This year I haven't put any of my paper items out on display so I thought that I would post a few items that I could scan. I will do a post and show you pictures of this year's display. Enough with the talking/writing, enjoy yourself. I didn't mention but the images are larger than the actual pieces so I'll put the dimensions under each image. 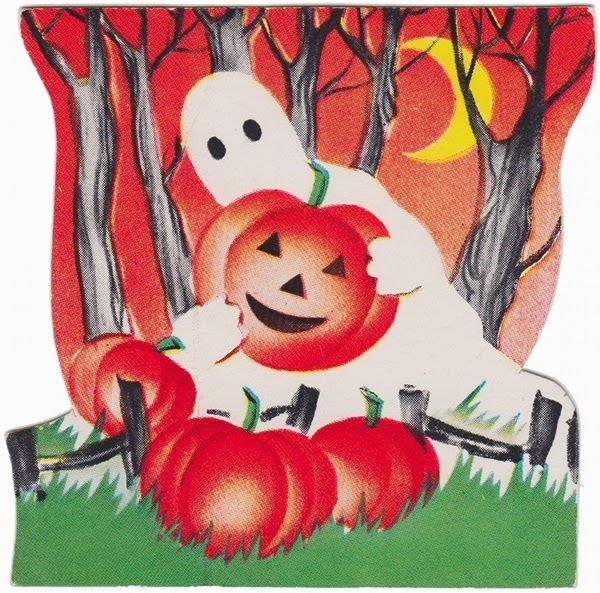 A ghost in the pumpkin patch by the light of the silvery moon is only 2 3/4" by 2 3/4". 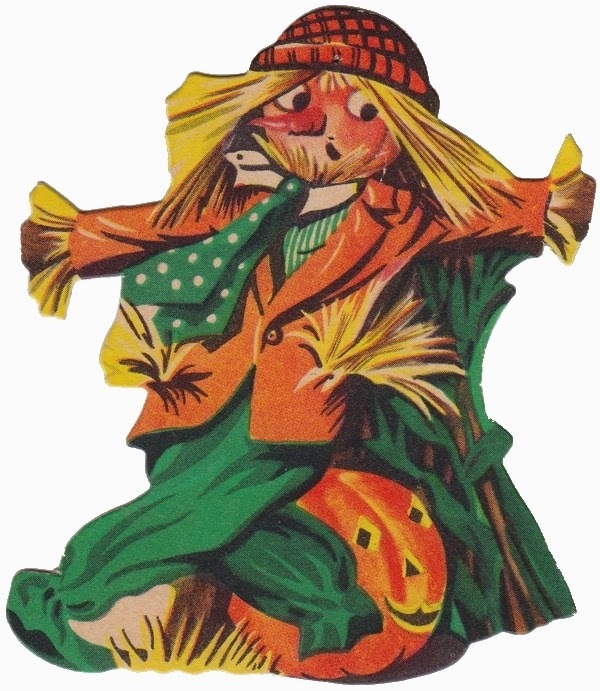 The scarecrow decoration is 3" by 3 1/4". 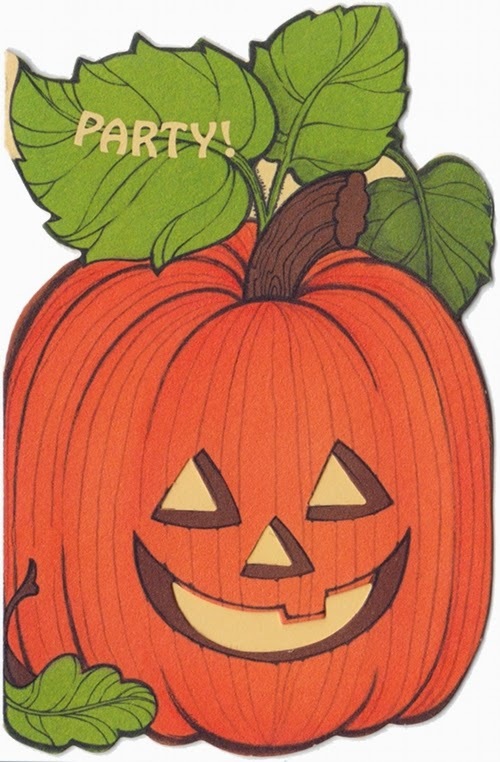 This Hallmark party invitation is 3 1/2" by 5 1/4". 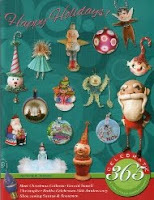 Coutts was a Canadian card company that eventually became Coutts Hallmark and then just Hallmark. 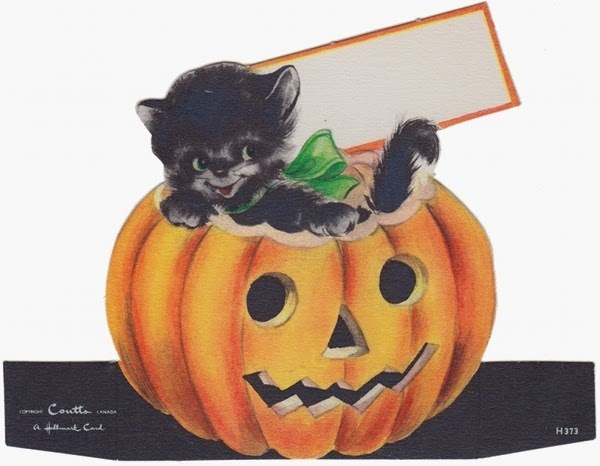 The place-card has the inscription on it copyright Coutts Canada and underneath a Hallmark card. This may be just before they became known as Coutts Hallmark, I am not certain though. The place-card measures 5 1/4" by 4". 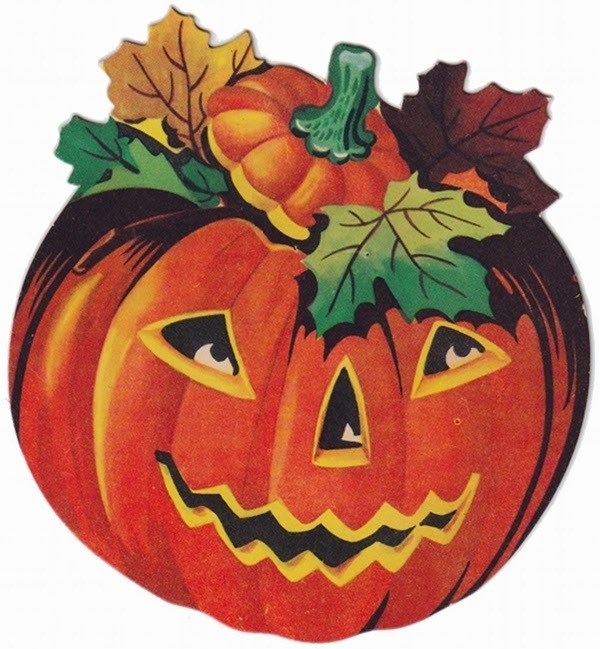 I love the addition of the Autumn leaves to this pumpkin image, it measures 4" by 4". 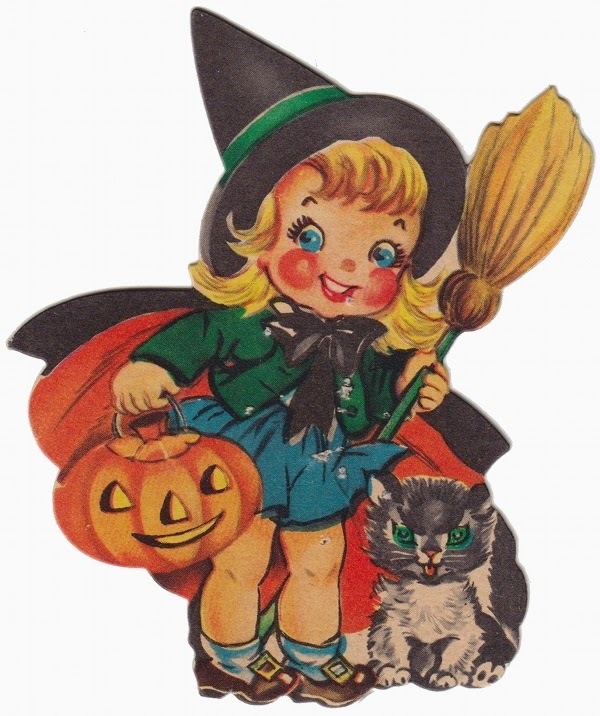 This little witch measures 4" by 3 1/4". The marks that you see unfortunately are pin holes. 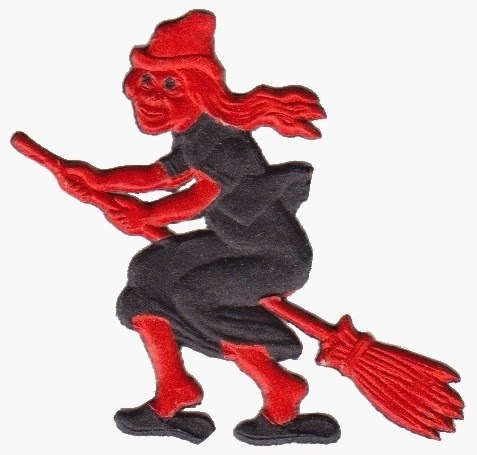 This little die-cut witch measures only 1 1/2" wide by 1 1/2" high, the detail for the size is quite amazing. Despite the fact that all of these items are small the graphics look great enlarged. 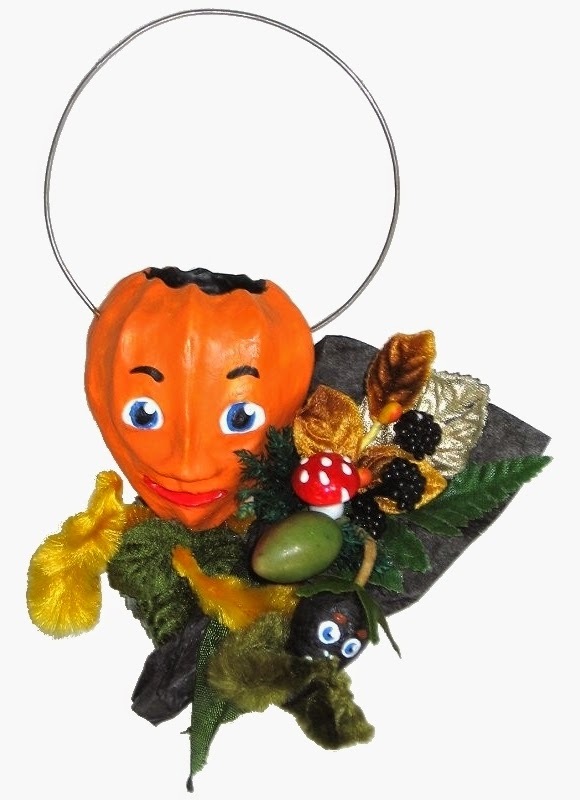 Click here to purchase "Bert's Autumn Bouquet". 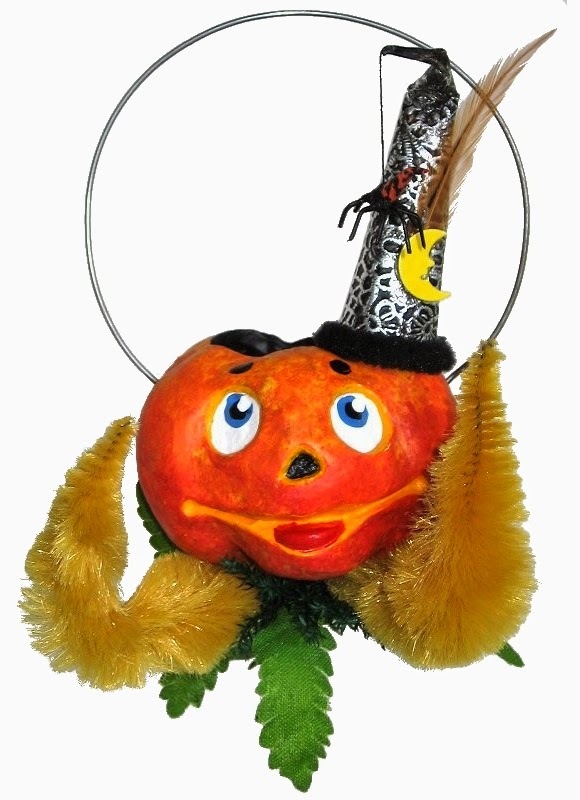 Click here to purchase "Jack and Bob the Spider".